If you want to know what type is your RAM. This command will help you in Linux. Type your password and press Enter. The details of your ram will be shown. 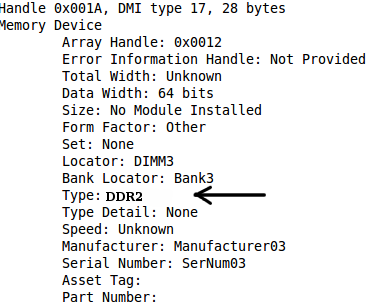 You can now see the DDR of your Ram as shown in the picture above.